What causes problems in trailering and is there an association to trailer type and breed? Does the position of the saddle and girth play a role in persistent sensitivity to girth pressure? Does the motion pattern of a well-ridden horse vary less than the motion pattern of an unridden horse? 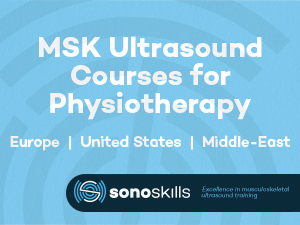 Ultrasound-guided injections of the collateral ligament of the interphalangeal joint, successful or not? What is the potential of kinesio tape to become a evidence based complementary therapy in equine athletes? Read more about the rarely described spontaneous injury of the accessory ligament of the SDFT.